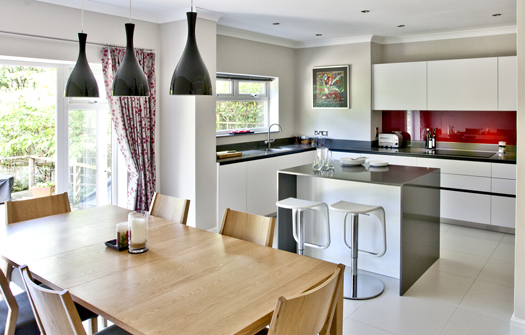 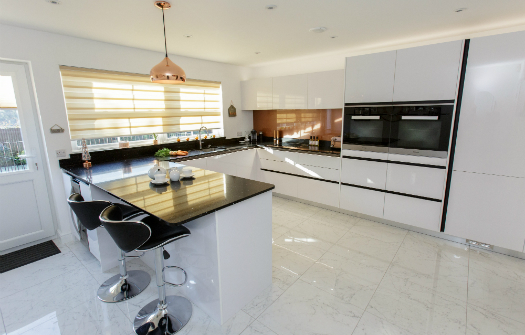 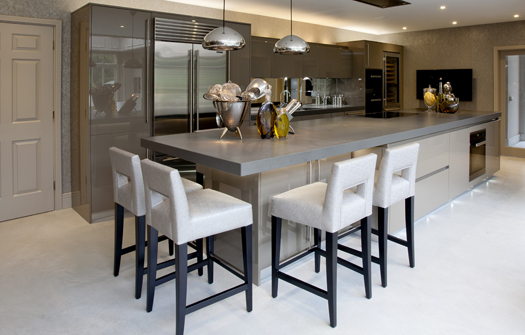 Our contemporary kitchen designs are ideally suited to both small and large spaces. 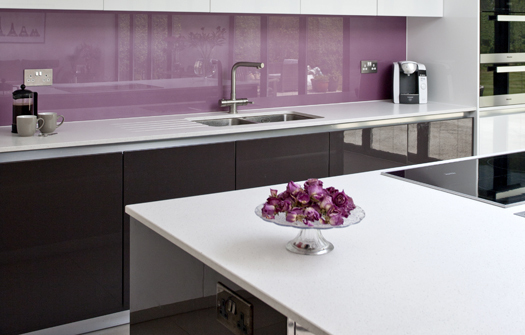 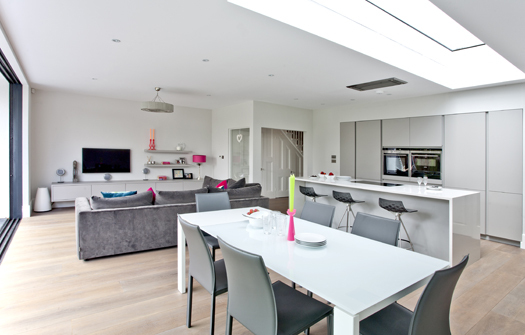 Clean lines and modern gloss or matt worktop surfaces ensure an easy-to-care for space with a modern and sleek finish. 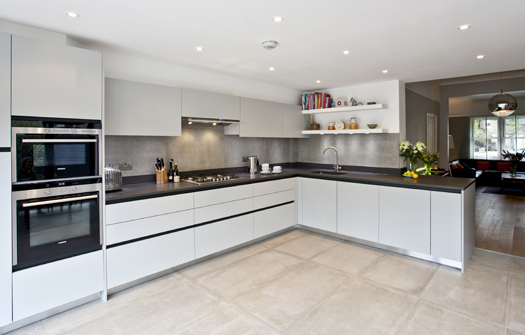 Integrated appliances and handleless cabinetry give a streamlined look, with virtually no ledges or ridges to keep clean. 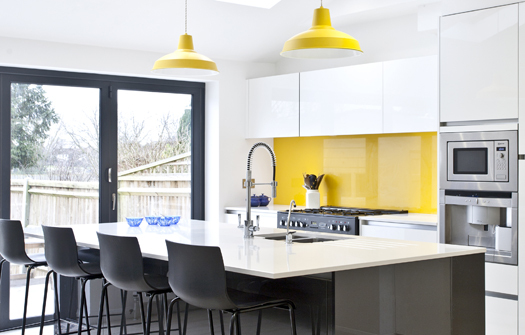 You can make a style statement by adding a brightly coloured splashback or feature LED lighting. 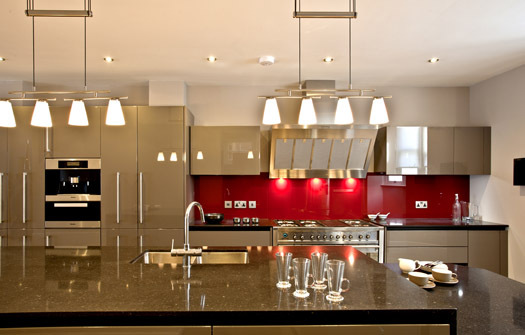 Glass panelling helps to retain a sense of space and light, whilst adding an element of interest and glossy, reflective finishes can maximise light and create a feeling of openness, even in darker rooms. 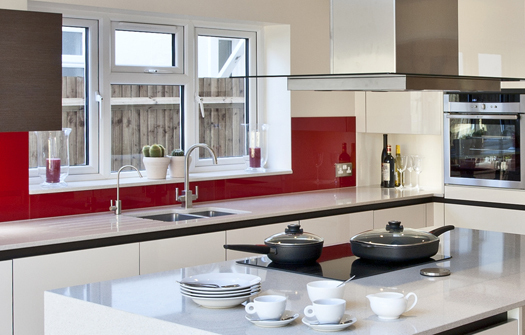 You can choose to specify Microban worktops to give you an additional level of hygiene – something which is often a popular choice if there are pets or small children in the family. 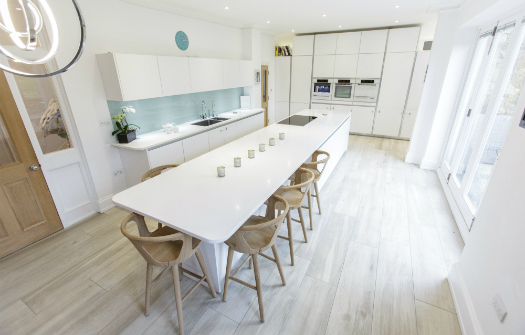 Our contemporary kitchens can easily be adapted to suit people who have specific needs for their health, or who have reduced mobility. 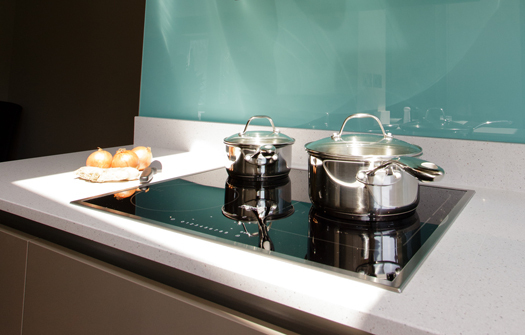 Our contemporary kitchens offer a versatile living space for every member of the family to enjoy, and are ideal for pet-owners who want a clean design. 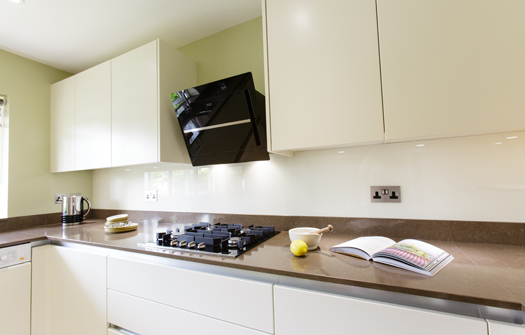 Whether you’re baking a Victoria sponge or entertaining the grandchildren, they’re easy to keep organised and clean.